"So it is agreed brothers, we shall support this Border Town Burning initiative, shall we not, feeble humans thou they be?" 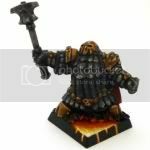 intoned the newest overlord to be elevated to the council, Willmark Dark Lord of the Sith, er... Dwarfs! Thinking thoughtfully the recently aged Lord Xander replys "Yes. The contest shall run until June 28th" It shall be so may all tremble with this newest battle, that of Golden Hat VI". "Better get a move on before this stone creep, well, creeps further up my feet..."
"8 weeks is that enough?" spoke Wallacer stroking his curled beard. "Not only that, but details on the Artisans Contest #2 are forth coming very soon as well..."
At this point a hapless hobgoblin slave stumbles in on the Dark Lords chambers trudging massive stone slates with runic numbers marking the passing of time. He was ordered to bring the slates hours ago, a quick glance from the assembled throng and the crackle of arcane energy results in nothing more then two stone slates clanking to the floor and a pair of smoking feet where once the hobgoblin stood; maniacal laughter ensues. "It is settled then, agreed brothers?" Grimstonefire asks. "It is indeed, and may our loyal brothers (and sisters) take heed of what befell the hobgoblin if they do not succeed in placing an entry". Welcome to the 6th Golden Hat competition! 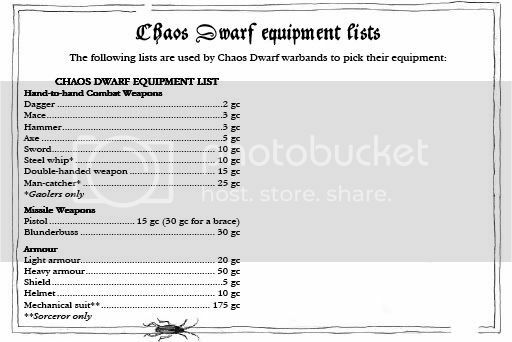 Create a Gaoler in support of Border Town Burning's- forthcoming Black Dwarf List! Once again same basic premise as last time; send all entries to the Golden Hat account no later then 11:59 PM Saturday, June 28th EST. Entries will not be accepted after that date. (Around 8 weeks to complete your entry). - Rightly take your place in the Golden Hat Hall of Fame Hall of Fame, where your glory will be remembered for years to come. - Everyone who enters gets a number of slaves equal to the number of entries. If 50 people enter we award 50 slaves to each person who entered. - Feature of the winner (and runner-ups) in the gallery section of the Border Town Burning supplement (both the website and the PDF version) with lots of name-dropping and praise. *= As with GHV: If there are more then 10 entrants the silver and bronze Golden Hat Medals will be awarded as well. Get cracking and make us proud. As usual once all entries are received a thread will be created for voting. And as always if there are any questions please PM me, another Staff member or post them here. 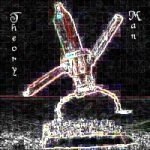 This post was last modified: 05-09-2008 10:41 PM by Willmark. I doubt i will be able to enter but i can tell that some awesome entries are going to be in this one. Most excellent news even though I will be three weeks gone during that period! Guess I'll just have to whip myself into action then! Kuddos on the banner btw! Dude, take a CD Hero, add a new weapon. I know you can do it! "It is indeed, and may our loyal brothers (and sisters) take head of what befell the hobgoblin if they do not succeed in placing an entry". 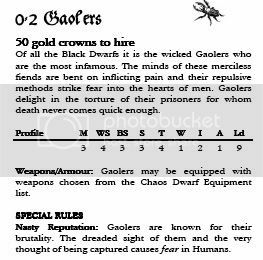 Also see the What is a Gaoler thread for more opinion/info! This post was last modified: 05-08-2008 05:50 PM by Vexxus. Is there any base size(I think its and unit strength) restrictions on the model? 20mm base for the figure itself. After that go to town... Well Mordheim at least. well i was thinking that i would do like a cart or something being pull by slaves? Thats why i was asking. The ones restricted to a Gaoler, thusly it must be US1 on a 20mm base. I shall do what I can to enter. Just finishing exams, so it seems I should be able to do it. Just need the base model (I'd come up with a concept for him ages ago). Is it wise to state what equipment the model has bought? For example, it may be that you use counts as items. Wha? Already?! I'm still recovering from the last GH!!! Mordheim has Unit Strength now? I'm formulating ideas as we speak, if I can pull it off it might looking pretty cool.